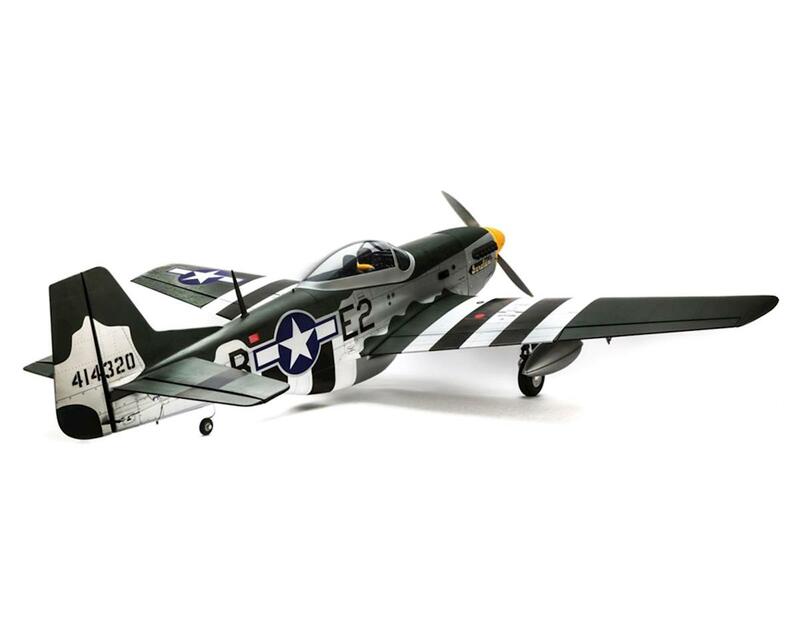 The Hangar 9 P-51D Mustang 20cc ARF Airplane Kit is an expertly crafted model that combines modern engineering, outstanding flight capability, plus no compromise power-it-the-way-you-want-it expertise to deliver a replica warbird with stunning looks. 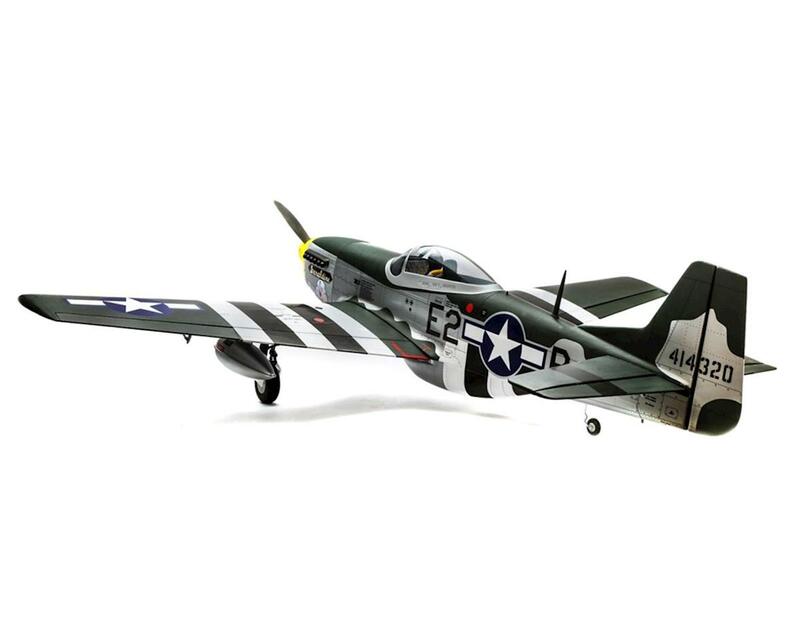 Modeled after Mustangs used by the 375th Fighter Squadron during WWII, it’s constructed in 1/6-scale with lightweight balsa and plywood for legendary durability. 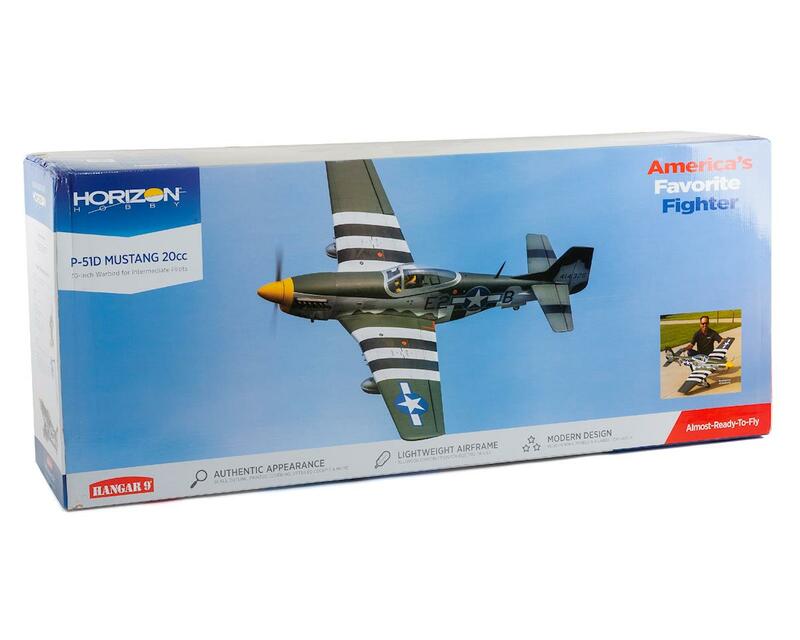 Lightweight Construction: Laser-cut, lightweight balsa and plywood construction is utilized to bring the P-51D Mustang 20cc to life as a durable scale model that's expertly built to exacting standards. Scale Detail: Beyond the factory applied satin-finish printed covering, other iconic details include airfoil-shaped tail surfaces, realistic engine exhaust, wing cannons, gear doors, optional-use drop tanks, radio antenna, a 3D instrument panel and a painted pilot figure—just to name a few. Functional Flaps: Light wing-load and a semi-symmetrical airfoil offer flight performance that’s comfortable at a wide range of speeds. Operational flaps allow its versatile flight envelope to open even wider so you can increase flight realism that includes shorter takeoffs and slower landings. Convenience Features: The wing panels feature a strong aluminum tube joiner for ease of transport and storage. When the model is upright, full access inside the model is through a large top-hatch that makes any maintenance and battery changes simple. 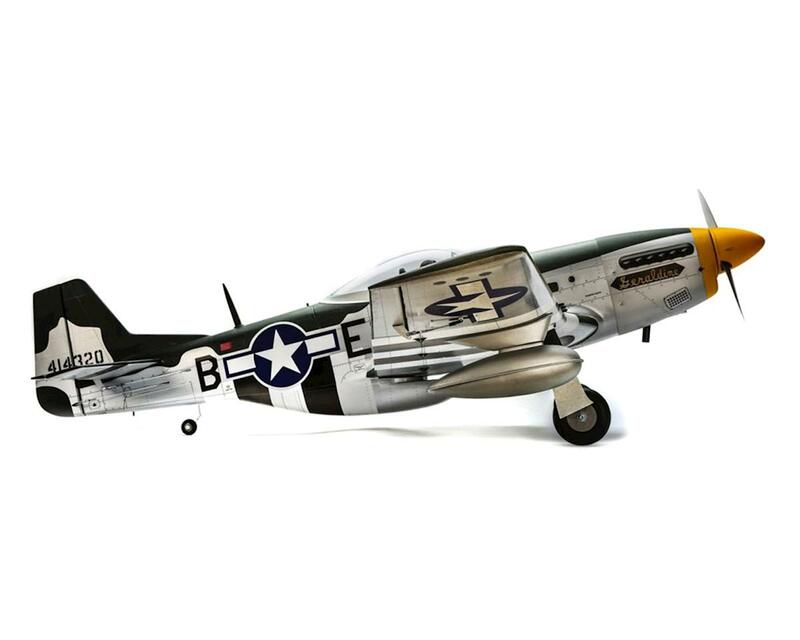 Custom Decals: Choose from one of the two nose-art decals included to finish your model off. “Sky Bouncer” was flown by Captain Bruce (“Red”) Rowlett, and “Geraldine” was flown by Captain Charles Roscoe (“Chuck”) Cummins, both with the 361st Fighter Group, 375th Fighter Squadron stationed in England during WWII. Optional Retracts: Rugged fixed landing gear with functional shock-absorbing struts are included so that you can keep the project simple and still enjoy the benefit of smooth ground handling. The optional E-flite® electric retract system recommended accepts the struts, feature all-metal durability and are an easy installation that lets you take in-flight scale realism to a higher level. Power It the Way You Want It: The P-51D Mustang 20cc is designed to accept the Evolution® 20GX, 20cc gas engine, a Saito FG-21, 21cc four-stroke or E-flite Power 60 brushless electric outrunner motor system with a 6S LiPo battery. All hardware needed to install any of the recommended power system is included along with an electric motor mount so you can get to assembly right away and in the air faster. 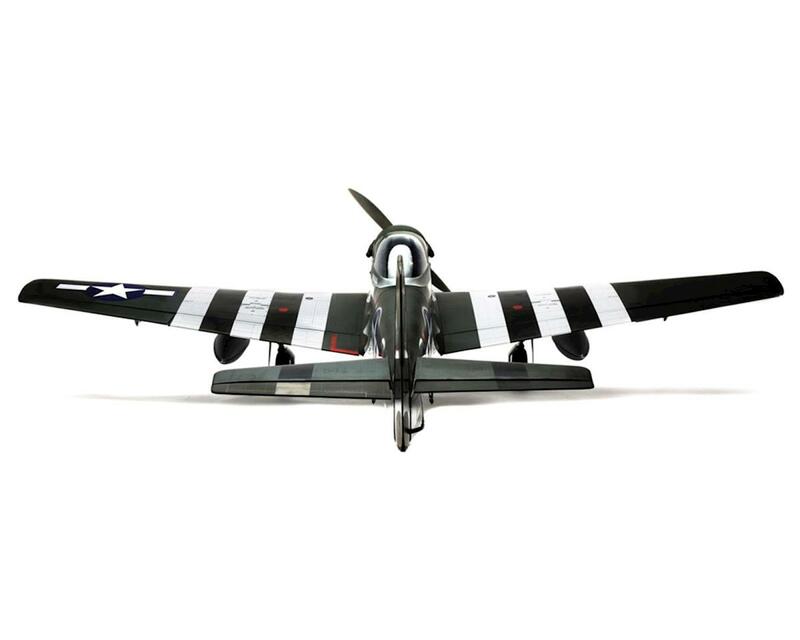 This 20cc ARF is also the perfect replacement airframe for the stock motor, ESC, and recommended flight battery used in the giant E-flite® Carbon-Z® T-28. History: Make it powerful and make it able to fly far. These simple requirements sparked North American Aviation to create a phenomenal weapon called the P-51D. Beyond its muscle, gas storage and gun slinging capabilities, pilots loved to fly it. 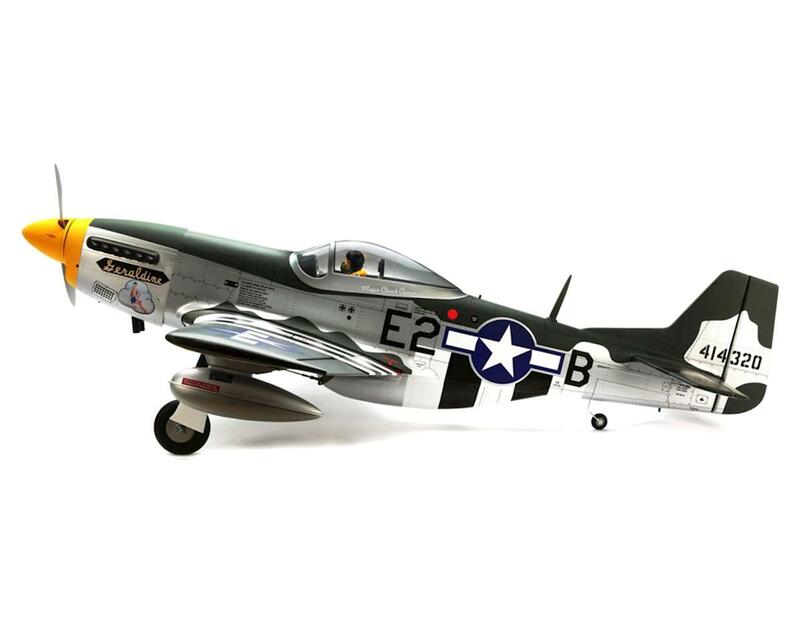 Better known as “Mustang,” it became America’s favorite fighter airplane, possibly of all-time. 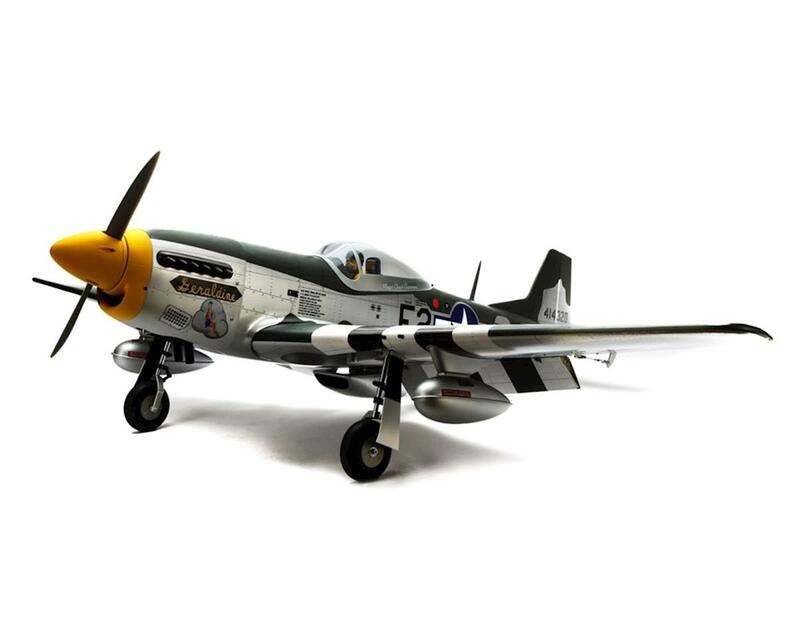 The Hangar 9® P-51D Mustang 20cc ARF brings valiant tails of this warbird to life in a convenient 1/6-scale model with unrivaled authenticity.